Luvable Friends is the baby bath brand of choice for moms because of our quality products and low prices. Our bath line includes a wide assortment of hooded towels, bathrobes and washcloths for moms to select from. Luvable Friends Hooded Towel & 5 Washcloths are made of cotton-rich absorbent knit terry to make drying your baby easy. 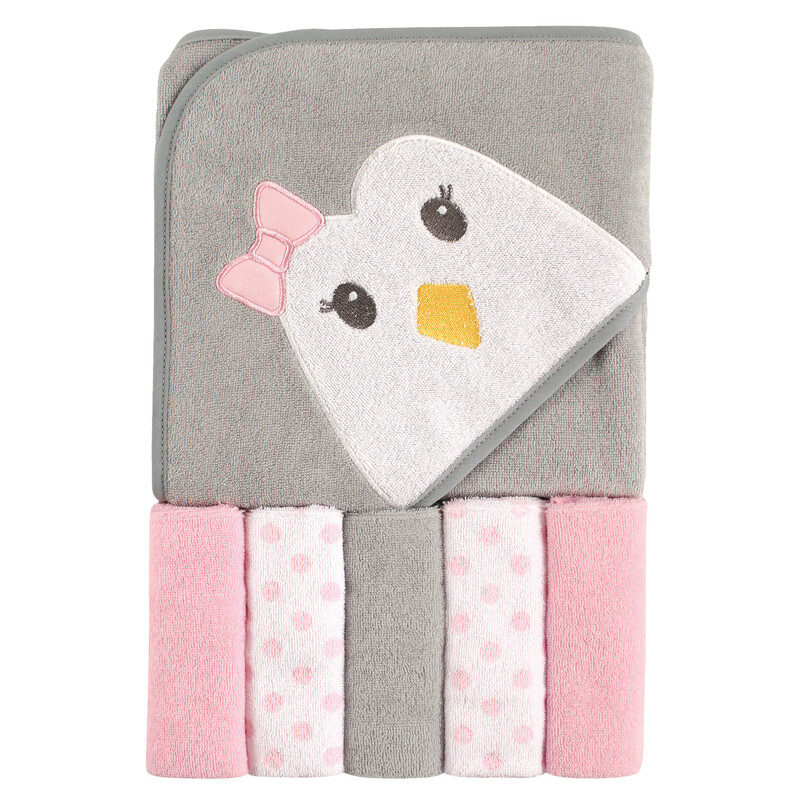 The hooded design keeps your baby warm and cozy after bath. Embroidered design. Bonus Washcloths included. Available in boy and girl designs.